Those who know me or simply follow me on Twitter will know I have a bit of a soft spot for a certain Irish musical at the moment. So I thought it was about time I checked out “that other” Irish show that opened down the road just a few weeks ago. 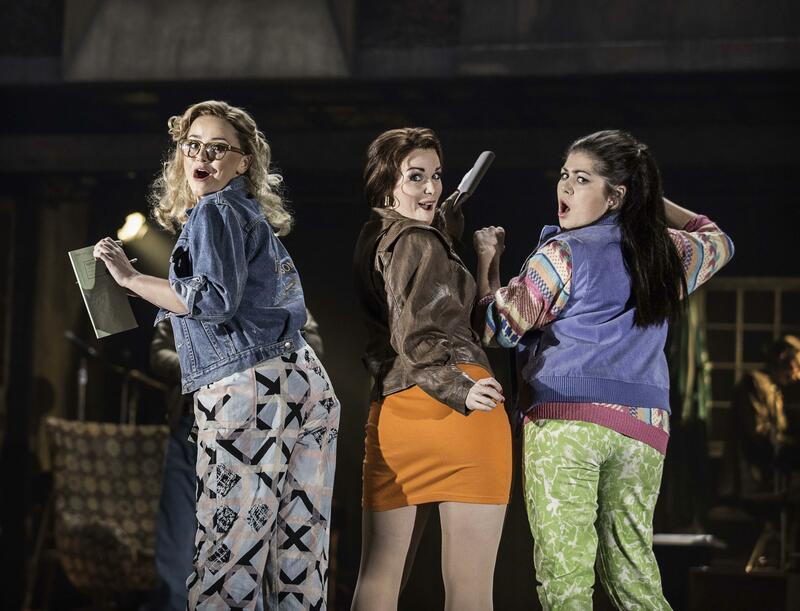 The Commitments is based on the book by Roddy Doyle and was turned into a movie back in 1991. It tells the story of a group of teenagers in 1980s Dublin. They are trying to form a band but it is only when the talented but difficult Deco comes on board that they end up on the road of success. This could be a show with depth, telling the story of working class kids in Ireland who are trying to escape their dull everyday life by making music. It is however more of a concert with some bits of story thrown in. The characters are too one-dimensional to make me actually care for them. What makes this show enjoyable is the great music performed by a musically talented cast. Ian McIntosh is the understudy for Deco (usually played by Killian Donnelly) and gives a gripping and hugely enjoyable performance. He sings brilliantly and hits even the toughest notes with ease. I have heard rave reviews of Killian but I can assure you that Ian McIntosh’s Deco is truly wonderful and a pure joy to watch and listen to. 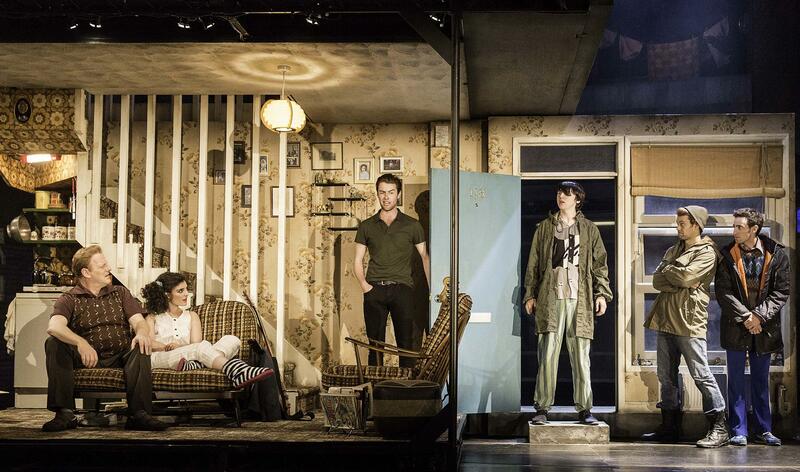 I’m not convinced by Denis Grindel as Jimmy who seems to be trying too hard. He just doesn’t come across as natural to me. His vocals are fine though and I’m sure he will settle into the role more with time. 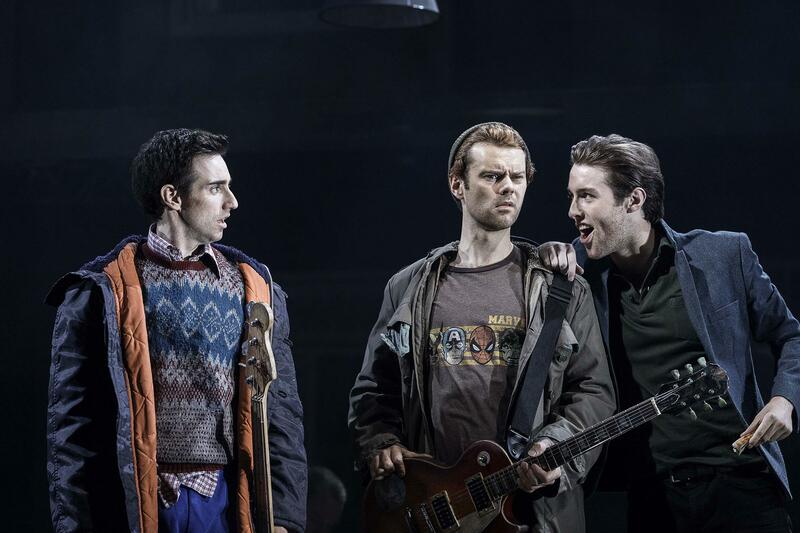 It is great to see Matthew Wycliffe back on a West End stage. After playing Bob Gaudio in Jersey Boys he’s now part of The Commitments playing the part of Outspan. Although the part isn’t huge he manages to stand out amongst his fellow cast members – and not just because of some impressive ginger hair! I just wish he got the chance to show off his wonderful voice. My biggest issues lie with Ben Fox or better: With the character he is playing (Joey). I can’t help but be irritated by him calling everyone “brother”. The character just has a patronising quality about him that I can’t warm to. Joe Woolmer has most likely been directed to play Mickah the way he does – lets just say I prefer characters to be a bit less “in your face funny”. The audience seems to like this kind of performance though so it might be just me being picky. I enjoyed Mark Dugdake’s performance as Derek and thought Brian Gilligan was wonderfully funny as Billy. Special mention for Clodagh Long who did really well as Imelda. The Commitments is full of great music. If you like to listen to songs like “I heard it through the grapevine”, “Papa was a rolling stone” and “What becomes of the broken hearted” performed live and sung with real passion I’m pretty sure you will enjoy this show. It has some good humour (mixed with quite a lot of swearing) and some enjoyable – albeit not very deep – characters (especially Deco who is walking the line between confused and manic). If the story is what makes a show for you this one might not be for you. 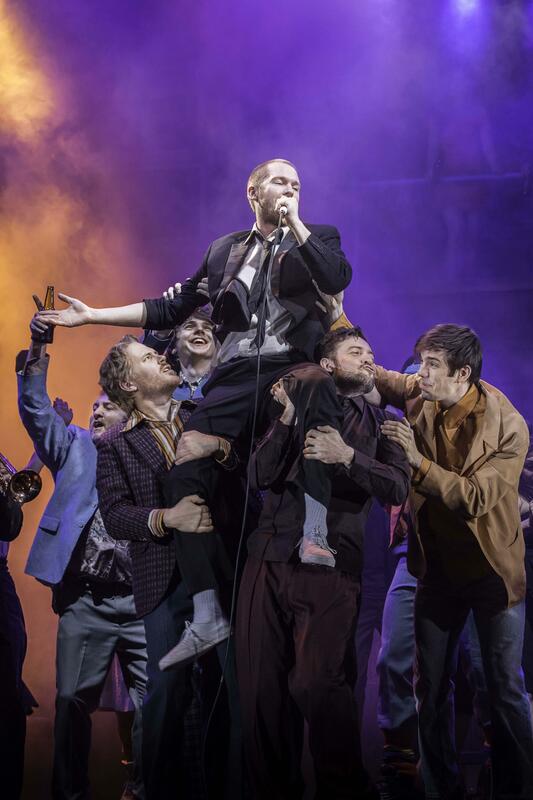 The Commitments want to bring soul to the people. And in terms of music they really do. I just wish they had a strong plot and well-developed characters to go along with all those great tunes. The Commitments is playing at The Palace Theatre. For more info and to book tickets go here.